The ‘G1013’ in Tan Satin is one of our Dansport Basic styles available for Girls. 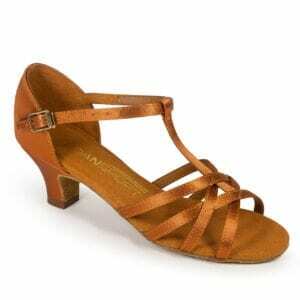 The design features a knotted front and is available on the 1.5” Junior heel. As of April 2015 we now feature half sizes and we also have added sizes 5.5 – 7. Click here to view the larger sizes.